1554 Coffee inside Sheffield Cathedral was created by the Cathedral of the Cathedral. 1554 is a coffee shop in the heart of Sheffield city centre. 1554 opened its doors in June 2015. We are 100% independent, created by the Cathedral for the Cathedral, with all proceeds supporting the work and life of the Cathedral in our city. Since opening we’ve been recognised and won twice in the Westside Restaurant and Bar Awards. 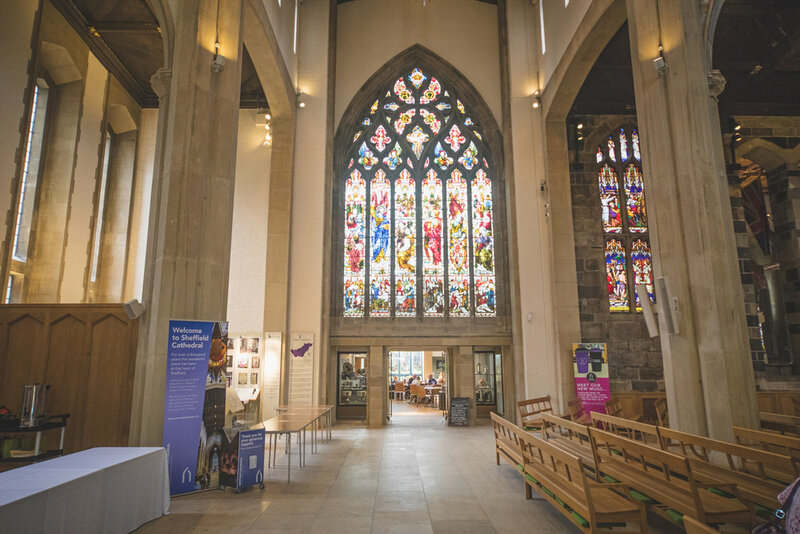 Centrally located and inside the stunning surrounding of Sheffield Cathedral, we are the perfect escape for those wanting coffee, cake, lunch or a place to meet up with friends - or all of the above!